This image was taken at Tg. 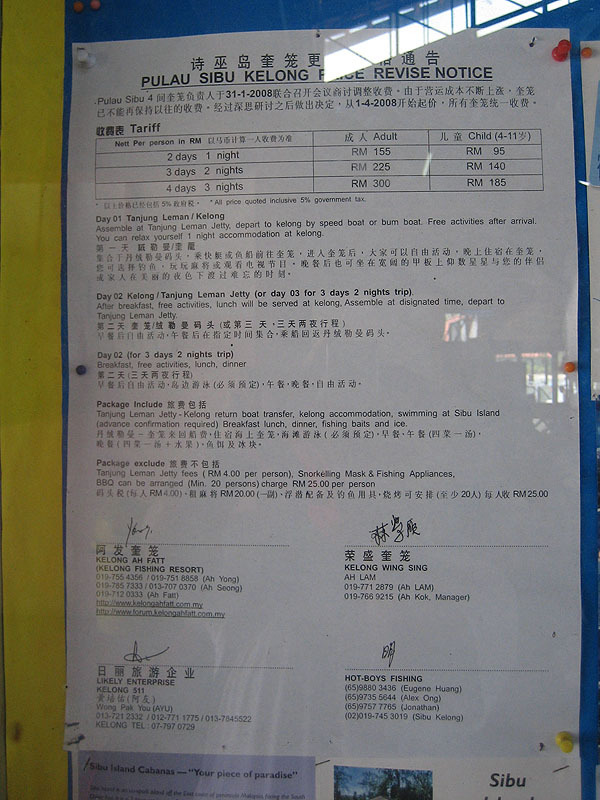 Leman jetty in Aug 2010, the prices and services might have change a little. Those that I am aware of are some of the kelong no longer provide ice and bait free, the jetty tax has increase. Please contact the the kelong for specific detail, this site does not represent them in anyway. The details presented here is for your information only. You should still be able to see this poster at the jetty if I am not mistaken.